Yesterday I went to Grand Indonesia, a really big shopping mall in Jakarta! 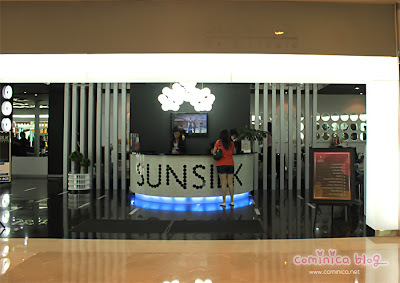 I win 2 free invitation from femaledaily to Sunsilk Hair Studio, so I brought my sister there. Okay, sorry for pictures spam (///∇//). 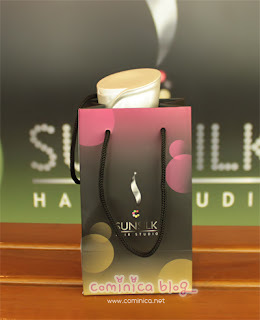 Sunsilk hair studio is has a nice crew, they quite friendly, but not all of them =.="
let;s see the picturess first. we can choose that 7 hair style to try or suggest other style to them. I better styling it by my self coz I know what I want, so I just stick with the safe style, I told the stylist, I want a natural loose wave for my hair that day. 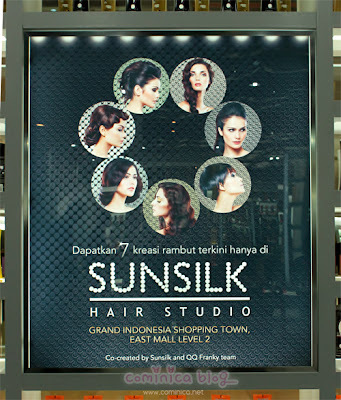 Here's the 7 style that create by QQ Franky. So I started took some pictures there, and looking at a ibu-ibu beside me X//D, but her face doesn't look friendly to me LOLLL, it looks like she was annoyed by my camera sounds. yeah she was insist and I was like, "ah uh yeah you can try..." then "oh noooo..."
waiting space and you can check your hair condition there! I got this shampoo as a free gift, well not bad, I use their product and love it! Sunsilk hair studio decor a space in front of them like this, I love it, it looks elegant and modern. more annoying, and when I saw her HAIR, I know why she was so MAD. Okay, so her stylist ask her, which style she want, and she replied "Perfect Waves", the stylist worked so confident and my sister just let her do her hair WITHOUT keep an eye on her. She was reading a magazine, well Clever, coz I never let a stylist do what ever they want to my hair. I have many experience with a hair stylist. But then I brought her to the toilet and style her hair again, and she was lil relieved. Or maybe, you'll ended become Granny, LOL (ﾟOﾟ((○=(`▽´*)o <--punch my sis stylist. This is what I use for my look. Thanks for ppl who vote! That's mean so much to me to improve my blog post! You're so cute! And I think your hairstyle turned out to be great :--) I can't wait my hair is as long as yours ! love your hair, you look super cute and dolly!